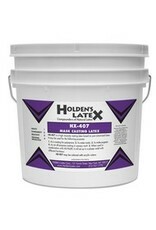 A high viscosity casting latex used for hollow casts, and coatings for styrene and clothing. 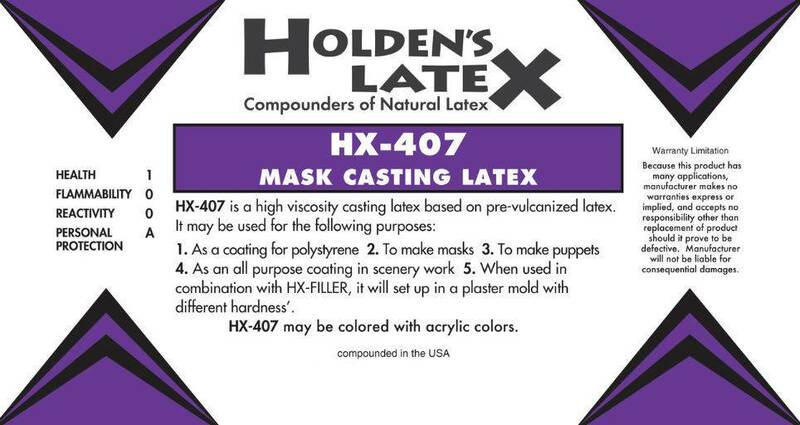 HX-407 is a pre-vulcanized casting Latex. It is very useful for the production of hollow molded rubber articles, toys, hot-water bottles, rubber balls, imitation pottery, masks, puppet heads, and display articles. 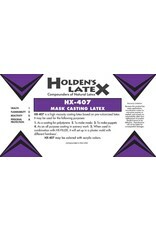 It is also useful for coating polystyrene, texturing, and general special effects for theater work. HX-407 is especially useful in making flexible props. 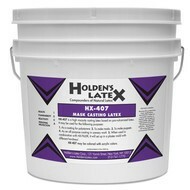 Using HX-407 does not require any elaborate machinery or expensive metal molds. An ideal rubber for small studios.